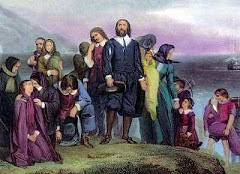 We hear the Founders were "deists," whatever that means. However, “Judeo-Christian” although it's a 20th century neologism, is a more accurate description. The civic deity of America's "civil religion" has always been the God of the Bible, albeit Jehovah, not Jesus Christ [about whom they fought endlessly]. You’ll even find the reputed infidels Jefferson and Franklin quite comfortable with the image of Jehovah as the Pillar of Fire leading the Israelites in the desert in their proposed design for the obverse of The Great Seal. *Although earwitnesses attested Allen actually said, "Come out of there, you sons of British whores, or I'll smoke you out!" Still, it tells us a lot about his intended audience and the religious landscape of the time. If you were to view "Judeo-Christian" as being synonymous to "Christian Jew," then you could trace that concept back to at least the early eighteenth century with the famous Dialogue Between Philalethes a Christian Deist, and Theophanes a Christian Jew. "I really wish the Jews again in Judea an independent nation. For as I believe the most enlightened men of it have participated in the amelioration of the philosophy of the age, once restored to an independent government & no longer persecuted they would soon wear away some of the asperities and peculiarities of their character [and] possibly in time become liberal unitarian Christians for your Jehovah is our Jehovah & your God of Abraham Isaac & Jacob is our God." John Adams, the biggest twit of his generation, God love him. Steve, thanks for stopping by. 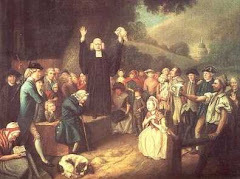 Salvation--soteriology--is above our pay grade at this history blog, and we mostly agree that the Founders decided not to let the question of heaven divide us here on earth. Their wisest decision of all, IMO. As John Locke put it, our government can't save our souls anyway.